Two women were killed in a head-on collision on U.S. 19 Monday night, according to the Florida Highway Patrol. Around 9:45 p.m, a 74-year-old woman was driving a 2009 HHR station wagon north on U.S. 19, north of Stonebrook Drive. A Nissan Xterra sport utility vehicle was traveling in the opposite direction in the same northbound lane when the vehicles smashed into each other. The 74-year-old woman died at the scene. Her passenger, a 75-year-old woman, was taken to Seven Rivers Regional Medical Center in Ocala, where she later died from her injuries. The driver of the Xterra, a 51-year-old woman from Fort Lauderdale, was taken to Ocala Regional Medical Center in critical condition. Investigators are further investigating when the Xterra crossed into the northbound lanes. Blood-alcohol test results are pending, according to troopers. 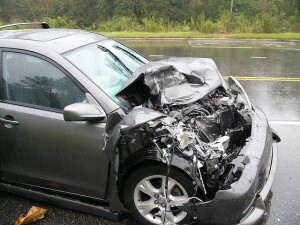 A head-on collision happens when the front end of two vehicles collide into each other straight on or at an angle. Due to the combined force of two moving vehicles hitting each other, more people are killed in head-on crashes than most other types of accidents. Catastrophic injuries and death are even more likely to occur if the accident involves a car colliding with a larger vehicle such as a truck, SUV or a bus. A large number of head-on collisions occur on highways from passing, drifting across a center line into oncoming traffic, failing to maneuver a curve or turn in the road and poor road conditions. If you or someone you love have has been injured in a Citrus County head-on collision, and the accident was caused by someone else, you may have certain rights to recover financial compensation for injuries, property damage, lost wages and medical bills. If a death occurred, the family of the person killed in the head on collision could be entitled to monetary compensation for their loss. If you or a loved one has been injured or killed in a head-on crash in Inverness, Crystal River, Beverly Hills, Lecanto, Homosassa, Dunnellon, Hernando, Sugarmill Woods, Citrus Springs or Floral City, a Citrus County Wrongful Death Lawyer at Whittel & Melton can help you recover the financial compensation you are entitled to. Negligent drivers should be held accountable for their actions – call us today for a free, no pressure and no obligation consultation at 352-726-0078 or contact us online.